I mentioned somewhere before that I occasionally go through vegan phases. The main reason these phases don’t last is that nobody else in my family is interested in that kind of eating and I end up cooking two sets of meals, which is sadly just not sustainable in a long run. So whenever I find something that is almost vegan and everybody likes it, it’s definitely a keeper. 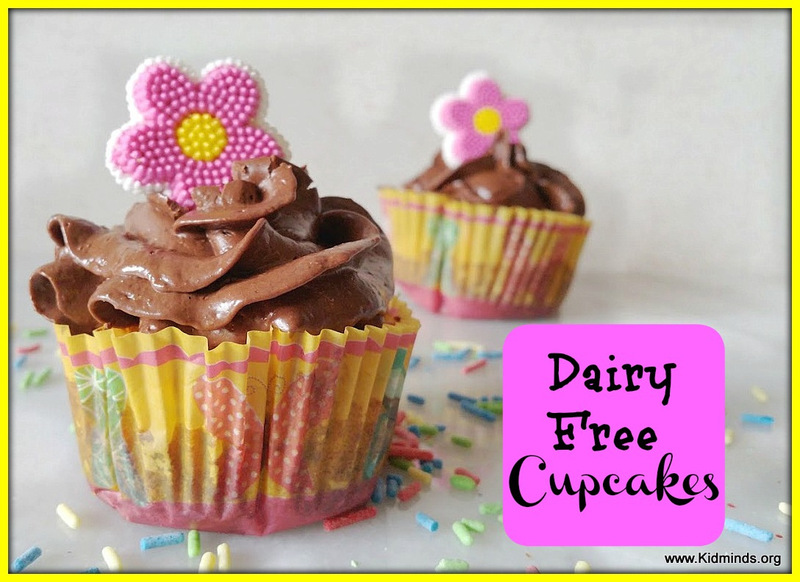 These dairy free cupcakes have the whole sensory package working for them: they look good, smell divine, and taste even better. It’s hard to notice they have no dairy, wheat or white sugar. The original version of this recipe comes from elanas pantry website. 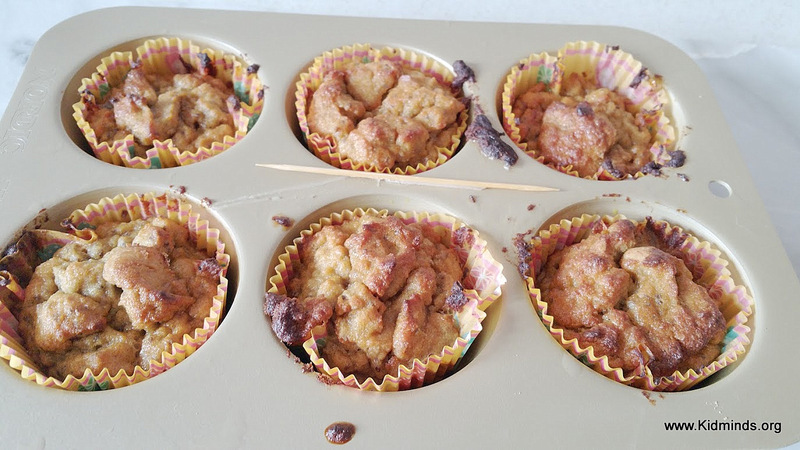 I’m sure she put a lot of time and effort into developing her brilliant paleo recipe, and I wouldn’t have dreamed of improving it, if I wasn’t short one egg. I had heard that you could replace eggs with chia seeds and if ever there was a time to test that trick, it was it. I tried it and it worked. 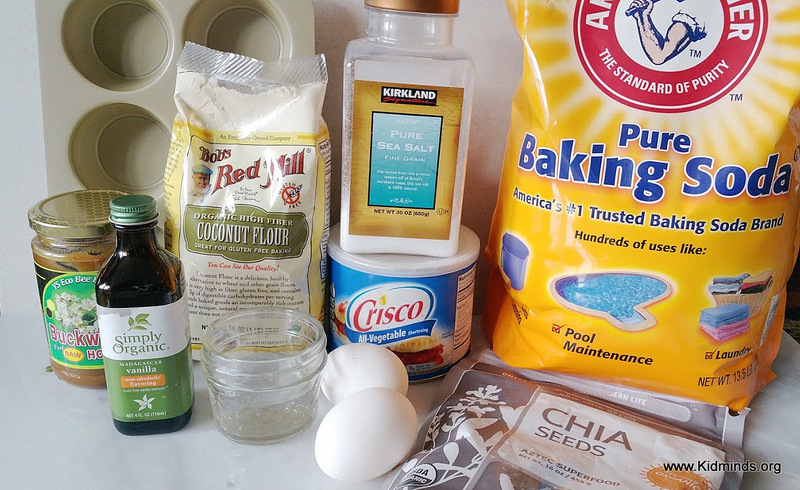 Yes, chia seeds indeed can replace eggs in a baking recipe. I got so excited that next time I tried this recipe I replaced all the eggs and the honey too to make it a truly vegan cupcakes. Not so good, my family didn’t want anything to do with them. So,I had to go back to earlier version. It’s hard to make a good vegan frosting, if you know what I mean. If you google how to thicken a vegan frosting, you will get suggestions like adding cornstarch, sugar or gelatin, and none of these things appeal to me. I tried paleo chocolate frosting that I found at Elana’s pantry but like other readers mentioned it was coming out too thin no matter how long I refrigerated it. So, in an act of despair I threw a bunch of old fashioned oats into a blender to grind it to a fine dust and added that to thicken things up a bit. It was exactly what was needed. I’d been using vegan chips until I googled “is chocolate vegan” and discovered that regular chocolate chips at Costco are vegan. Chocolate is a completely plant-based food and as long it is not milk chocolate it is as vegan friendly as can be. And if you research other ingredients sometimes listed on chocolate chips like cocoa mass, cocoa solids, chocolate liquor, cocoa beans, cocoa paste and cocoa butter, you will discover that these are all terms for pure chocolate in different states of processing and totally compatible with vegan diet. Yay for chocolate! 1. 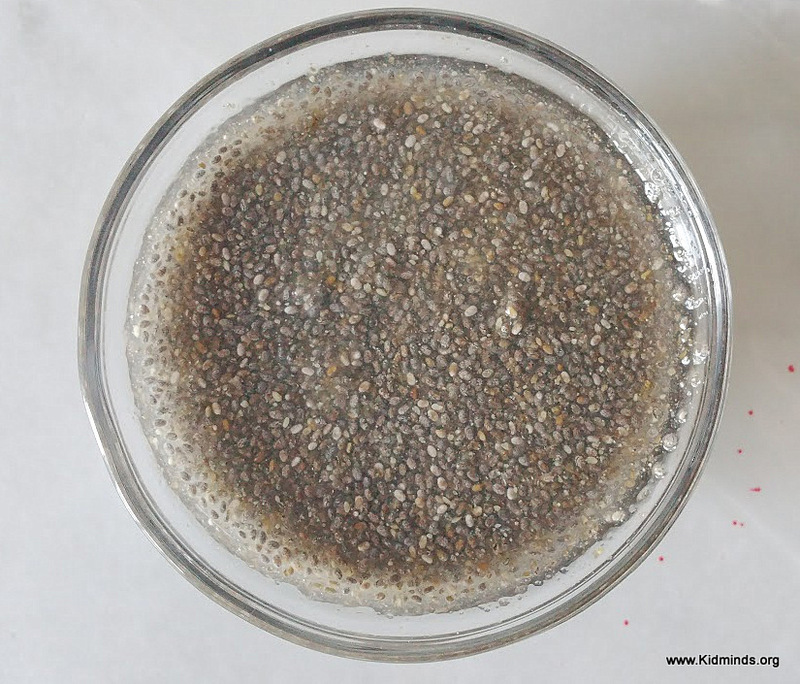 Mix the water and chia seeds in a small bowl. Refrigerate until it takes on a goopy texture similar to row egg yolk. 2. 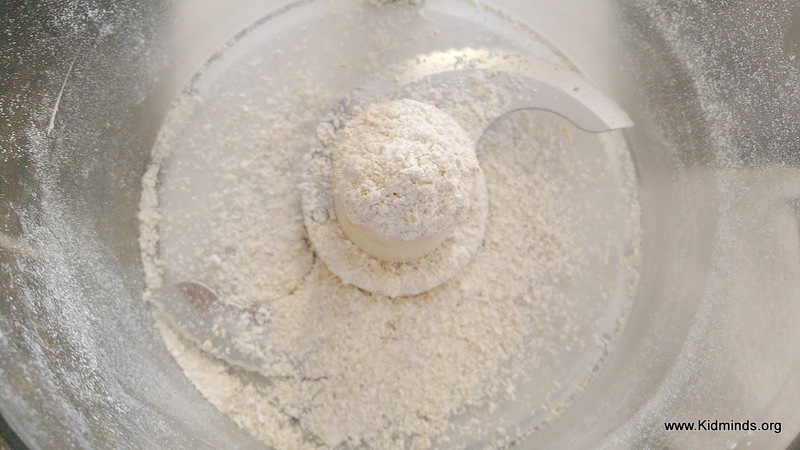 Combine coconut flour, salt and baking soda. I usually do it in a processor, but sometimes I just don’t feel like getting it out, so I mix everything with a large spoon in a bowl. 3. 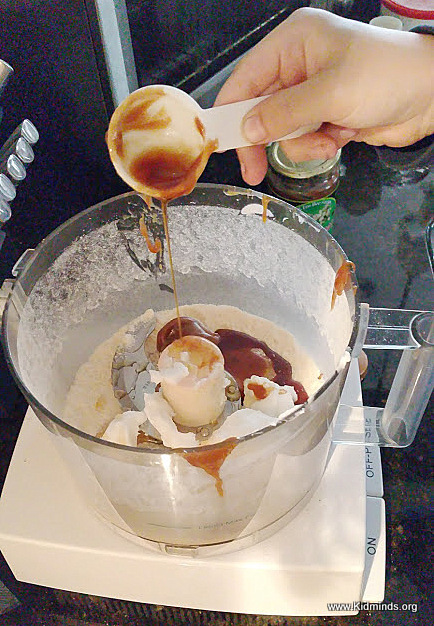 Add eggs, shortening, honey, vanilla and chia seeds gel. Mix just until combined. I’m using buckwheat honey. That’s why it’s so dark. 4. 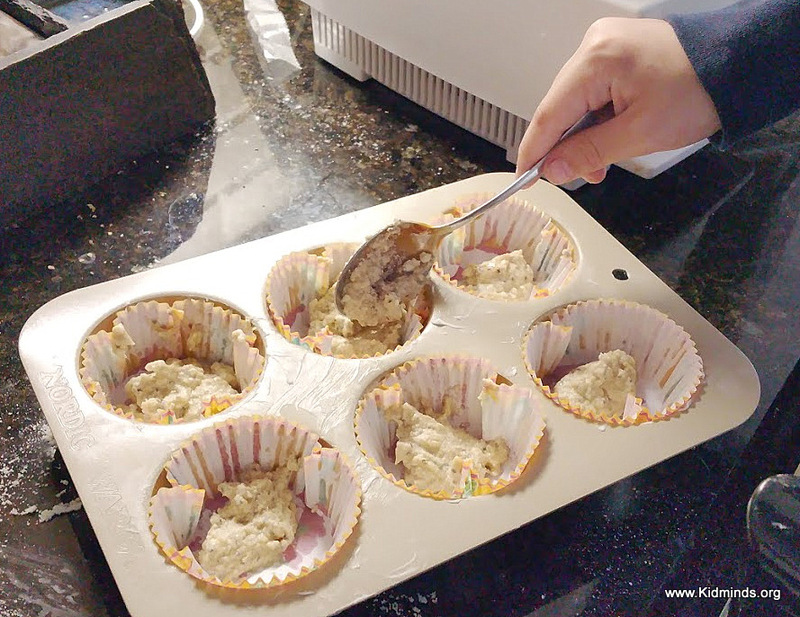 Line a cupcake pan with 6 paper liners and fill them up. 1. 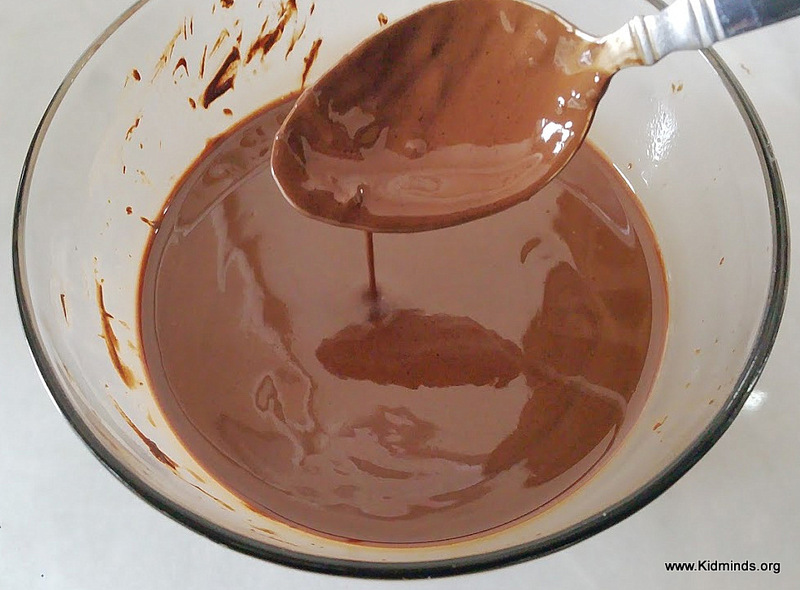 Melt chocolate chips in a microwave (it takes about 2 1/2 minutes), stirring every 30 seconds. 2. 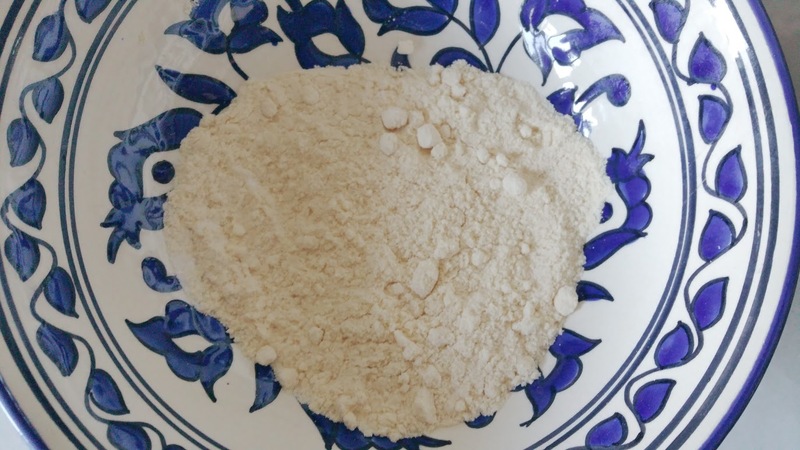 Stir in coconut oil and vanilla. 4. In a food processor grind old fashioned oats to a fine meal. 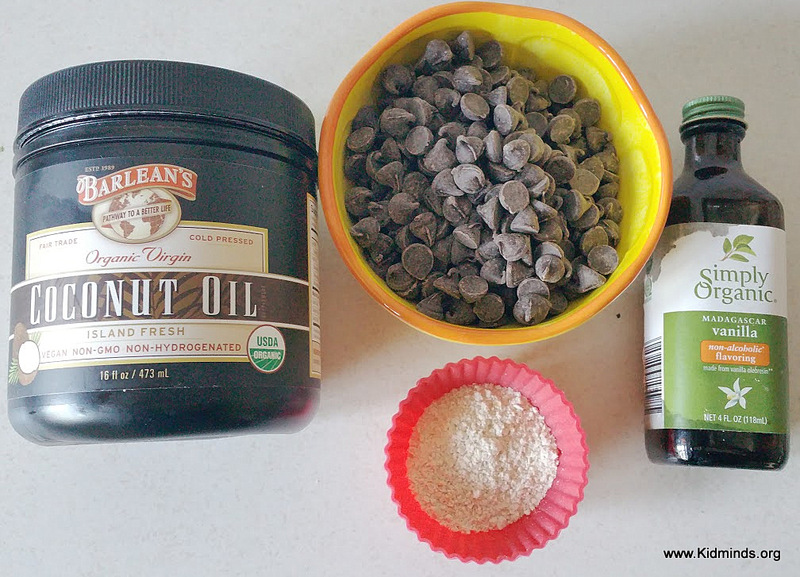 You will only need 2 Tablespoons for the next step. Safe the rest in a refrigerator for sprinkling over salads, soups or whatever you eat for dinner. 5. Get chocolate mixture from the refrigerator and whip it in a food processor along with 2 Tablespoons of oat meal. 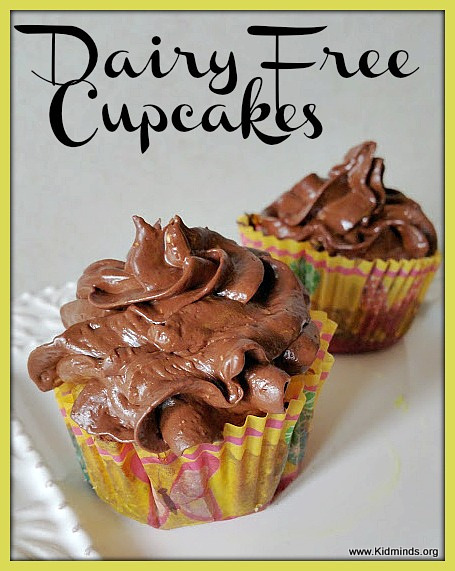 Hey Buddy!, I found this information for you: "Dairy Free Cupcakes with Chocolate Frosting". Here is the website link: http://kidminds.org/dairy-free-cupcakes/. Thank you.